Synthetic Oil: Is It Necessary for my Car? 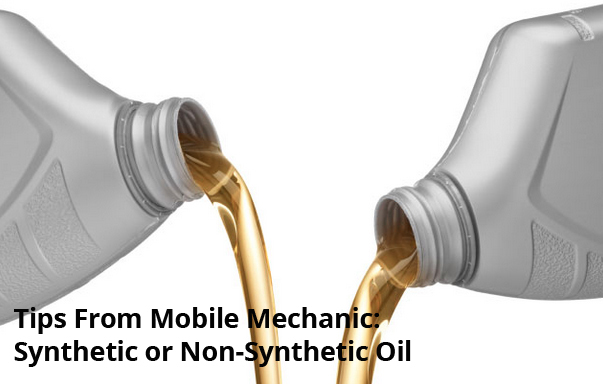 You may have heard people discuss the topic of synthetic oil versus the non-synthetic variety. In fact, the concept of switching to the synthetic version may have been suggested to you. Many people choose to switch to synthetic oil, while others are adamant about using conventional oil in their vehicles. If the subject of synthetic motor is confusing to you, the following information may be helpful. However, the best person to assist you in making this decision could be your mobile mechanic repair in Phoenix 85048. The primary difference between conventional and synthetic oil is that the conventional kind is made from a base of petroleum, and the synthetic type is made from a chemical base. Conventional oil is derived from crude oil, which is a natural product. The crude oil is refined to make a product that can be used in auto engines. Synthetic oil is made from synthetic chemical compounds instead of from natural petroleum. 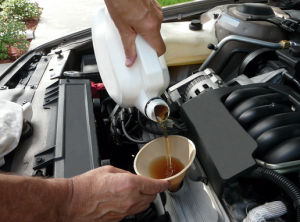 You may be wondering why anyone would choose synthetic oil instead of a conventional variety. The most common reason is that synthetic oil remains more stable when the temperature changes from high to low (and vice versa). This could make it a more logical choice for people who live in areas that experience extreme temperatures. An added benefit is that this may also result in the need for fewer oil changes per year. The problem that many people have with synthetic oil is its cost. Synthetic oil is typically priced in a range of between two and 10 times the cost of non-synthetic oil. Thus, some consumers have wondered whether the trend to buy synthetic oil is a marketing hoax to get people to spend more money. However, since synthetic oil enables you to extend the time between oil changes, you could pay the same amount overall – regardless of the oil you choose. If you’re still unsure about which type of oil would be best suited to your circumstances, you might wish to discuss the matter with a mechanic from the best mobile auto repair Phoenix has to offer. Your mechanic might recommend using synthetic oil during months of extreme weather, and conventional oil when the temperatures are likely to be mild. The best way to determine your oil maintenance needs is to consult a mobile mechanic Phoenix – Best Phoenix Auto Repairresidents can trust. The professionals at Arizona Mobile Mechanics LLC can help you with all of your auto maintenance and repair concerns. Someone will be sent to your location within a 30-minute time frame, so you won’t be left waiting all day for assistance.